Christmas Is Near, Is Your Home Ready? Christmas season is nearly here, and we now hear Christmas songs and bells ringing everywhere. Everyone loves the joy that this season brings. Not only because of the delectable foods being prepared, or the delight knowing that the year is about to end and another great year is about to come, but also because of the glowing Christmas lights that enchant every person. Somehow, the lustrous lights add to the festive mood. Has your home already been set up with these lights? If not yet, let Greenforce Outdoor Light help prepare your home for the Christmas season. We do Christmas Lighting installation in San Francisco, California. Apart from the positive atmosphere that Christmas light brings about, a holiday light installation is also a good way to make the holidays even more exciting and pleasing. Who would want to celebrate Christmas with a dull and boring ambiance, right? The good thing is, you won’t have to concern yourself with the installation necessities, safety measures, maintenance, and clearing off the lights after the holiday season. We do it all for you—from planning and designing to installation. How would you like the lighting system to appear or what colors do you prefer? Our design team can work around your preferences. So, let’s start decorating and preparing your home for the Christmas season! 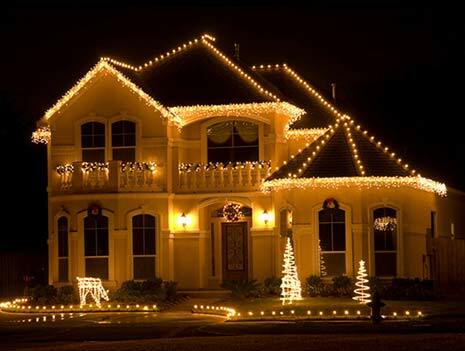 If you have decided to get started, you can contact a provider of Xmas Light Installation in California. We would be pleased to make your holiday season even more spectacular. This entry was posted in Light Installation and tagged Christmas, Christmas lighting, Lighting System, Professional installation, Xmas Light. Bookmark the permalink.